Protect Your Child from a Frightening Risk! According to the U.S Consumer Product Safety Commission (CPSC), each year unintentional poisonings from consumer products commonly found in the home kill about 30 children and prompt more than 2 million calls to the nation’s poison control centers. More than 90% of these calls involve poisoning in the home. Follow the simple precautions below to protect your child from accidental poisonings. Children act fast and so do poisons. It is important to have layers of poison prevention protection inside the home. Keep all products closed and in their original bottles or containers. Store harmful products out of your child’s reach and sight, and locked in drawers and cabinets with safety latches. Leave the original labels on all products, and read the label before using. 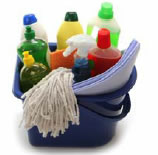 Do not use food or beverage containers to store chemical products such as cleaning solutions or beauty products. Never leave child ren alone and out of your sight when products are in use. Take your child with you if you need to do something else, such as answer the phone or doorbell. Return household products to a childproof cabinet as soon as you are done with them. Do not put decorative lamps and candles that contain lamp oil where children can reach them. Lamp oil can be very toxic if ingested by young children. Keep alcoholic beverages out of your child’s reach. Teach children not to eat or drink anything unless it is given by an adult. Keep the Poison Control Center number 1‐800‐222‐1222 near all home phones and saved on your cell phone in case of a poison emergency. *These are just some potentially poisonous products found in a home. These are just a few things you can do to protect your child from accidental poisoning. 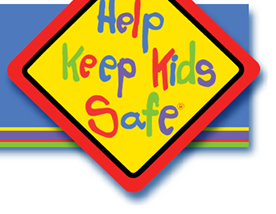 Please visit Montlick.com or HelpKeepKidsSafe.org and click on “Family Safety and Legal Tips,” to see our latest safety videos and downloadable materials and to register for Free Safety Alerts. According to a recent study by the U.S. Consumer Product Safety Commission (CPSC), children younger than the age of five account for the majority of non‐fatal poisonings, and 70% of the poisonings involve children one to two years of age. Oral prescription drugs, non‐prescription drugs and supplements were involved in more than half of the incidents. All medicines can be poisonous to young children if taken by accident or given too much. Parents and caregivers should be really diligent, and take proper precautions to prevent medication‐related childhood poisoning. Keep all medicines in their original, child‐resistant containers. Store medications and medical related products out of a child’s reach and sight in a locked cabinet. Follow directions on the label when you give or take medicines. Be sure to read all warning labels because some medicines cannot be taken safely with other medications. Turn on the light when you give or take medicines at night to ensure you have the right medicine and the correct dosage amount. Refer to medicine as “medicine”, or it’s correct name. You do not want to confuse a child by calling medicine “candy”. Be aware of medications that may be on your bedside table or in your handbag. Also, be aware of any medicines that guests may bring in your home. Do not let guest them leave the medication where children can find them, for example, in a purse, pillbox, suitcase or coat pocket. Avoid taking medicine in front of small children because they often copy adult behaviors. Clean out the medicine cabinet periodically and safety dispose of unused, unneeded and expired medicines. What To Do When Poisoning Occurs. The Centers for Disease Control and Prevention (CDC) advices the following steps if you think your child may be poisoned, or has come in contact with a poison. Call 911 if you have a poison emergency and the victim has collapsed or is not breathing. Call the poison center hotline if you have a poison emergency. A poison expert in your area is available 24 hours a day, 7 days a week. You can also call if you have a question about a poison or about poison prevention. The number above is a nationwide toll‐free number that directs your call to your regional poison center. Safeguard Your Child from Accidental Poisoning is presented by Georgia Accident Attorneys, Montlick & Associates. There are so many potentially hazardous items inside the home including some that parents might not recognize. That's why Georgia Accident Attorneys Montlick & Associates put together this guide with safe practices that parents, grandparents and caregivers can adopt to greatly reduce the risk of accidental poisoning. Parents, please be really diligent with keeping potentially poisonous items away from your child. At Montlick & Associates, we're committed to helping you keep your family safe and preventing injuries!